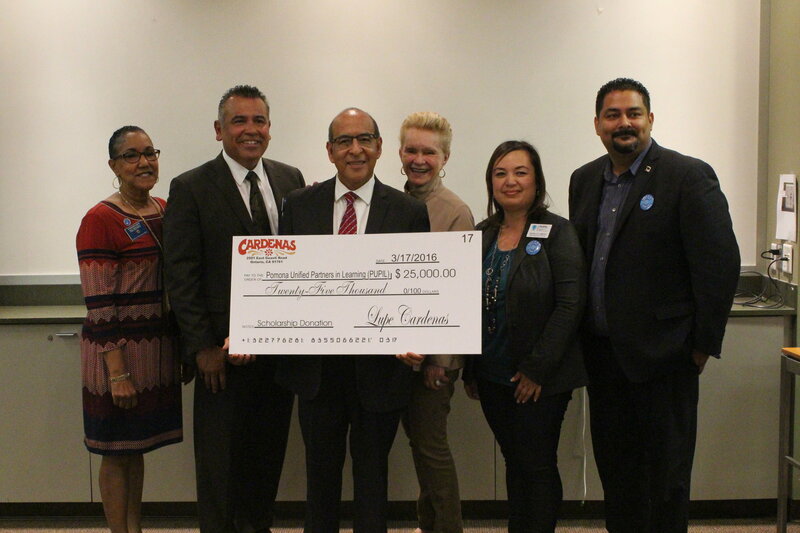 The Pomona Unified School District has received the Alliance of Schools for Cooperative Insurance Programs' Risk Management Pays incentive award, a recognition that comes with an $8,000 prize. The award recognizes the District's significant effort, achievement and ongoing commitment to maintaining safe learning environments for students. The alliance highlights the importance of sound risk management and significant contributions the District has made toward reducing the cost of risk. Over the past year, the District has completed safety and security assessments, attended several risk management and loss control education programs and trained employees through an online training platform. Follow-up Story: Nearly 300 female students took part in Pomona Unified’s third annual Young Women’s Empowerment Conference last month, learning from professional women who challenged themselves to beat the odds, including Paralympian Sarah Reinertsen, the first female leg amputee to finish the Ironman World Championship. Hosted at the Village at Indian Hill Conference Center, the event featured 10 healthy mind, body and soul workshops that encouraged eighth-, ninth- and 10th-grade girls to live positive lives, work toward career goals and be themselves. Workshops focused on topics on how to achieve confidence, self-care, avoiding unrealistic body ideals and finding ways to de-stress through writing poetry and practicing yoga. Pomona Peer Resources (PPR), which put on the program, is part of Pomona Unified’s comprehensive approach to peer intervention. PPR works with the District’s middle and high schools to provide more than 20 individual peer intervention programs, which include community-based activities that address the academic, social, emotional and personal needs of PUSD’s adolescents. Pomona Unified is opening transitional kindergarten enrollment for the 2016-17 school year. The transitional kindergarten (TK) program is a bridge between the preschool environment and the more structured setting of kindergarten. Available at 10 elementary schools, the program provides an enriched foundation upon which students can build social and academic skills. The 2016-17 program is open to children who turn 5 between Sept. 2 and Dec. 31, 2016. For details, call 909-397-4800, ext. 23042. 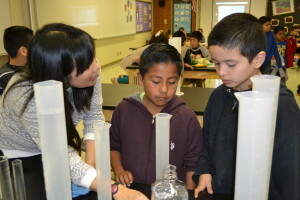 Alcott Elementary School teacher Cindy Yuen is among 100 elementary school educators from across the nation selected to receive a scholarship that will strengthen instruction of science, technology, engineering and math (STEM) and help her integrate engineering in the classroom. Awarded by the Museum of Science, Boston, the $200,000 scholarship program includes a complete classroom set of the museum’s Engineering is Elementary curriculum materials, as well as tuition and travel support to attend a two-day, hands-on teacher professional development workshop at the museum later this year. Pomona Unified is inviting parents and community members to tour its successful English-Mandarin Dual Language Immersion Program from 8:30 to 9:30 a.m. Wednesday, Feb. 10 at Pantera Elementary School, 801 Pantera Drive, Diamond Bar. The program will begin its second year in the 2016-17 school year. Attendees will learn about the benefits of the program and observe an instructional segment. In addition, students enrolled in the Pantera dual language program are invited to participate in a free, three-week summer Mandarin enrichment program from June 13 to July 1. For more information, call Alexandria French at 909-397-4475. 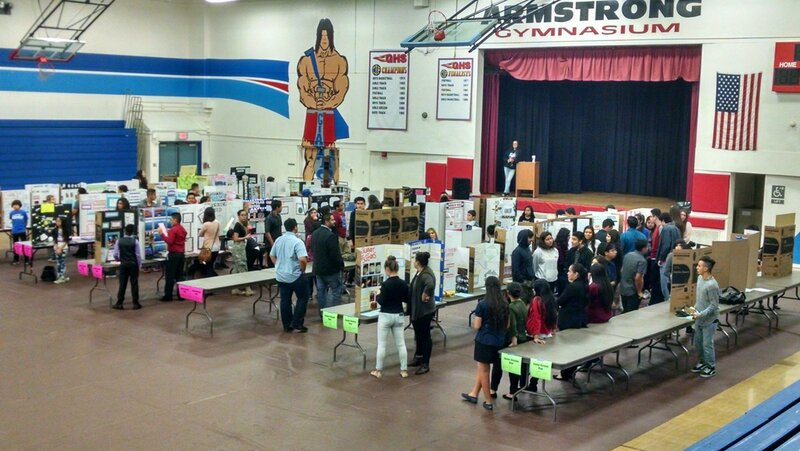 Armstrong Elementary School is inviting the public to its third annual “Living Museum of Historical People,” featuring performances from fifth- and sixth-graders who will play scientists, inventors, presidents and other historical figures as part of an interactive lesson aligned to the new California Standards. The “Museum” will include student-created murals and science boards, which will encourage visitors to press buttons, at which point students will pop up and recreate scenes from American history. The event, which is open to the public, runs from 8:30 a.m. to 2:45 p.m. and 5 to 6:30 p.m. Tuesday, Feb. 9 at Armstrong Elementary, 22750 Beaverhead Drive, Diamond Bar. The Pomona Unified School District this spring will launch an interactive online reading program to promote literacy among students in preschool through third grade. The program will extend to all families living in District boundaries, linking home, school and community for academic success. Footsteps2Brilliance is a free application that can be accessed on any digital device. 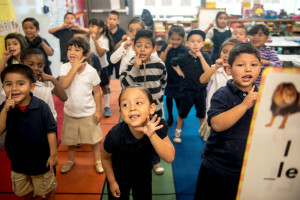 It has been recognized by the White House for expanding early literacy and language learning opportunities for English- and Spanish-speaking students and families. District leaders say the bilingual program will not only help improve reading comprehension and critical thinking for students and parents, but also foster the use of mobile technology for educational purposes. Pomona Unified student Karina Aguilar has gained international recognition as one of 55 students in the world to earn a perfect score on the Advanced Placement (AP) Spanish and Culture exam, also making her one of 322 in the world to attain a perfect score on any AP exam in 2015. The former English learner heard of the feat during a surprise celebration with friends and family while in her AP Spanish literature class at Garey High School on Jan. 21. Aguilar, 17, is a model senior, carrying a 4.8 GPA and juggling a rigorous academic schedule with a host of extracurricular activities. She moved to California from Mexico in 2001 and became proficient in English by third grade. 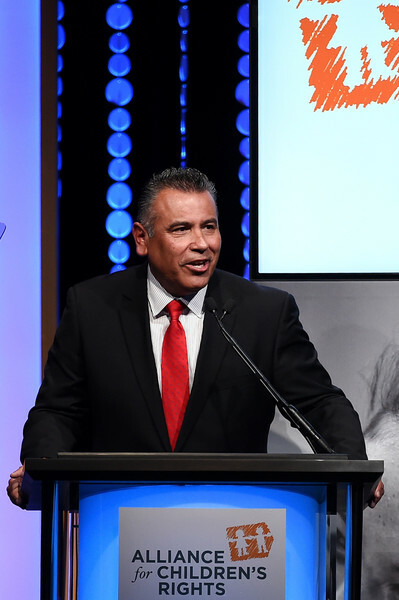 Aguilar plans on studying public policy with an emphasis on education at a four-year university. She also hopes to one day serve on the PUSD Board of Education. Pomona Unified is collecting feedback from parents, students, teachers and stakeholders on how to further improve academic programs as part of its Local Control and Accountability Plan (LCAP), which outlines how the District will meet student needs over three years. The District is hosting dozens of stakeholder meetings. This process will lead to assessing and expanding programs and services, particularly for English learners, socio-economically disadvantaged students and foster youth. The District will meet with parents and other stakeholders on Monday, March 14. The Board of Education will consider the LCAP for approval after a June public hearing. For more information, visit www.pusd.org/LCAP. 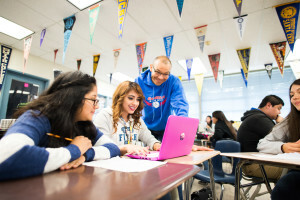 Pomona Unified School District has solidified the latest incarnation of its five-year strategic plan, laying down a foundation that aims to empower students, parents and community and guides the District’s vision to be an educational institution that goes above and beyond in preparing students for the rigors of college and career. Prepared in partnership with the Claremont Evaluation Center, Pomona Unified’s “Strategic Plan 2020: Promise of Excellence” pledges to institute a distinguished culture of excellence that promotes student success, bolsters professional development and embraces community partnerships – four priority areas reflected in the District’s new mission and vision statements.